On July 23, U.S. Sen. Rand Paul, R-Ky., tweeted that he would be meeting later in the day with President Donald Trump and would “ask him to revoke John Brennan’s security clearance!” Brennan is the former CIA director who has been outspoken in his criticism of the president. 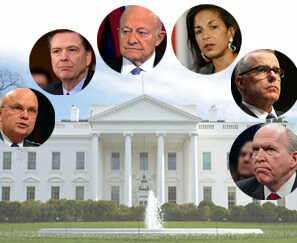 About three weeks later, the president revoked Brennan’s privileges and indicated more such actions were on their way. On the day of the Trump-Paul meeting, White House Press Secretary Sarah Sanders said the president was considering revoking the security clearances of several former administration officials who, in Sanders’ words, have “politicized and monetized” their prior public service. While controversial, the legal power to remove such clearances rests largely in the president’s hands. Article II, Section 2 of the U.S. Constitution gives the president the role of “Commander in Chief of the Army and Navy of the United States,” which courts have interpreted as giving the president the authority to take actions such as granting or revoking an individual’s security clearance. The main reason that former officials have traditionally retained their clearances is to allow for unfettered communication between officials of the former and present administrations. Before World War II, the military regulated classifying the nation’s secrets. A Congressional Research Service study found that from 1940 and 2010, presidents issued 20 executive orders on classified information. The CRS report noted these directives typically determined who in the federal government might classify information, what levels of classification markings (such as top secret) could be used, who could have access to classified information and how and when classified information was to be classified. On Aug. 2, 1995, then-President Bill Clinton signed Executive Order 12968 that outlines procedures used by executive branch agencies to identify who requires a security clearance, the standards for investigating an individual’s background and the mechanisms by which individuals can seek relief if an adverse security determination is made. As with most national security presidential executive orders, the courts have given the president wide discretion in the context and breadth of security clearances. Another CRS study in 2017, The Protection of Classified Information: The Legal Framework, notes that the U.S. Supreme Court has shied away from cases involving revocation of security clearances. The most significant case came in 1988 in Department of the Navy v. Egan, when the Supreme Court said that Congress had not given the judicial branch jurisdiction to review the merits of a security clearance determination. While the decision said the Merit Systems Protection Board had no jurisdiction to review the revocation of a clearance, it also addressed the role of the courts in these matters. Four months after its ruling in Egan, the Supreme Court issued Webster v. Doe. In that decision, the court indicated the possibility of limited judicial review of some constitutional claims involving national security personnel. The two decisions have been widely interpreted to give the president authority to control classified information with very limited court review. In the ensuing 30 years after Egan and Webster, the 2017 CRS report notes, the Supreme Court has not addressed to what extent Congress may constrain the executive branch’s power in this area. Neither have the courts considered whether a security clearance could be revoked in violation of an expressed protection of the Constitution, such as the First Amendment. While Egan and prior decisions suggest the president has broad power over security clearances, free from judicial supervision, it is not clear whether that freedom would extend to retaliation for the exercise of constitutional rights. Barring a suit from Brennan or others, for now the president has no legal restraints to revoke the security privileges of former officials.